The versatile Gabrielle is a cross training delight, with stretch and moisture managing properties ready to handle runs and workouts at the gym while remaining flattering. 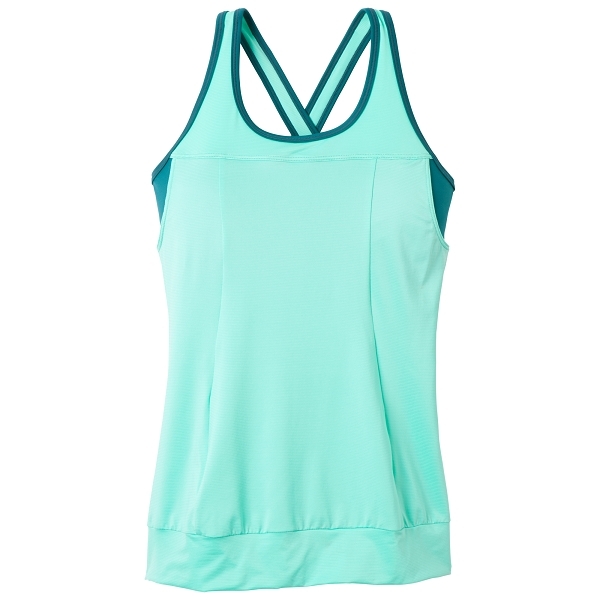 An internal bra with removable cups will keep you secure even during strenuous workouts. I really like this top. I have it in 2 sizes - medium and small, and I really need a small and a half! I love the fabric, the support, and the look. light weight yoga top. I am a size 12 and it fits well. Material is lighter quality than I expected. I would like the front of the top to be higher at neckline. A bit pricey for the value.